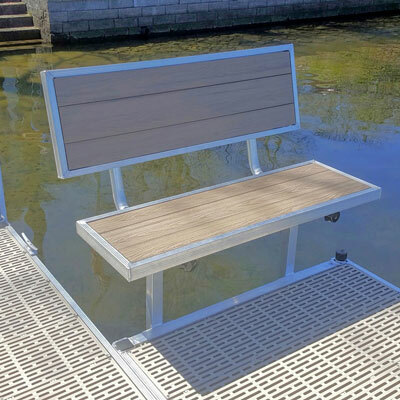 Our versatile FWM Floating Docks — featuring a heavy-duty modular aluminum frame, 13" freeboard height and commercial-grade flotation capacity — are ideal for projects of any size on practically any waterway. Our seamless shell design prevents leakage and separation. The drum wall is made of tough polyethylene with ultraviolet inhibitors to prevent damage from the sun, debris, oil, gas, marine organisms, salt and fresh water. 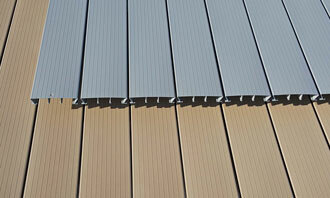 The decking of each dock has been fabricated into removable panels (two or four). This allows you to reduce the weight of your dock by almost 50% in just minutes to make seasonal installation and removal easier than ever. Put the drill away. FWM frames come with a track system on the side and bottom to make the mounting of accessories a snap. Need to move a pole bracket, cleat or aluminum ladder from one position to another? No problem, simply loosen the screws, slide and retighten. Our aluminum FWM Floating Docks are often used for larger dock projects and in some cases we can even fabricate custom frame sizes. 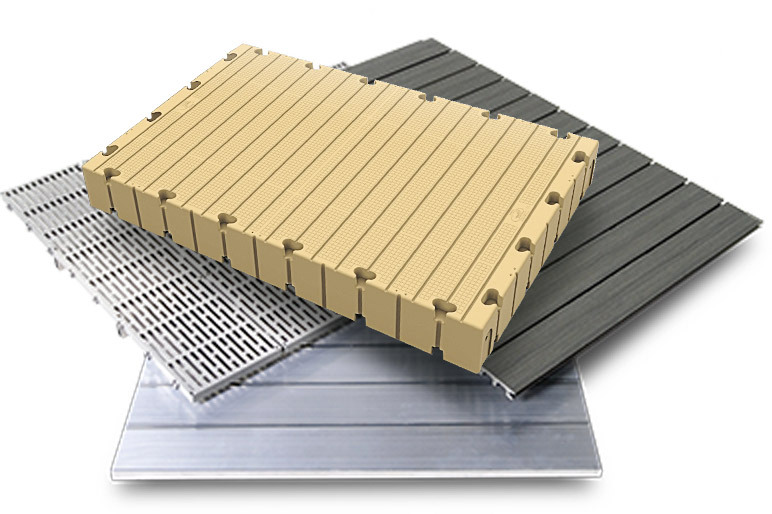 At FWM Docks, we offer four different decking surfaces that enable you to customize the look and feel of your dock. Our select decking surfaces have been tested by FWM engineers to give you a range of options for the perfect solution on your waterfront. Each of FWM Docks’ frames is designed to be 100% modular. Like a giant adult Lego set, you can put your dock together in any layout or configuration. Our aluminum floating dock systems are ideal for countless uses, including homes, marinas and commercial applications, public parks and recreation areas, and much more. Our versatile, durable dock products and accessories are perfect for small to mid-size marinas. Create attractive, low-maintenance docks, swimming floats, boat and kayak launches; easily rearrange or expand your layout for special events or changing needs. Over the years we’ve created several dock systems for homeowners associations. Whether your upcoming waterfront project is large or small we can provide you a maintenance-free docking solution that benefits everyone in your community. Our modular frame design enables you to assemble an endless variety of shapes, layouts and configurations — making it easy for you to design the ideal dock system for your unique waterfront needs. Q: Can I Install a FWM Dock on my Own? Installing your new dock system from FWM is relatively easy. It does require a bit of mechanical ability, but if you have a friend and can lift 50 lbs. it can usually be completed within a few hours. You can always reach out to your dock specialist for tips on installing your particular layout or check out our owners manual for reference. My neighbor bought an EZ Dock a few years back. He loves his and now I love mine. It has been well worth the investment. You guys were great at helping us with the design and we couldn’t be happier with our purchase. Thanks again. After talking with other camps in the area we decided to go with EZ Dock. We had worries that with the heavy winds and rough wake the dock wouldn’t hold up. Our worries went out the window when we had our first big storm — not only did it hold up and stay in, it was plenty stable for us to walk on. There wasn’t a moment during the project that we thought we should have gone with another company. From the design to the installation, everything went without a hitch.